Written on 03 December 2013 . 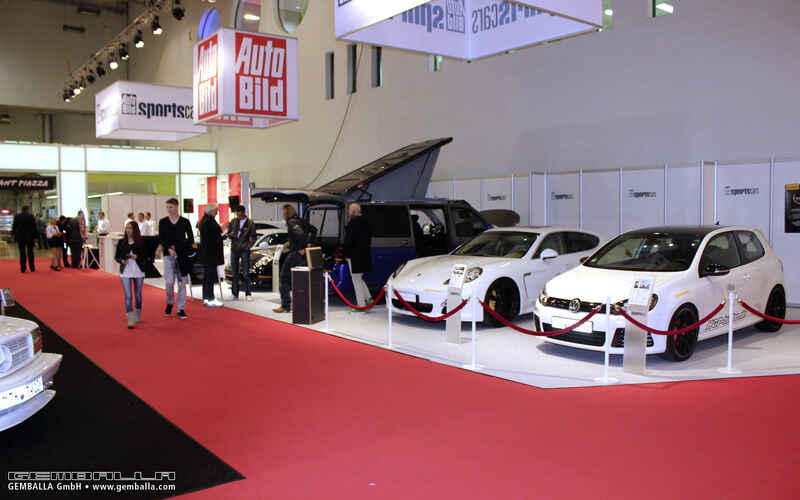 GEMBALLA exhibited in Autobild Sportscars' booth at the Essen Motor Show 2013. 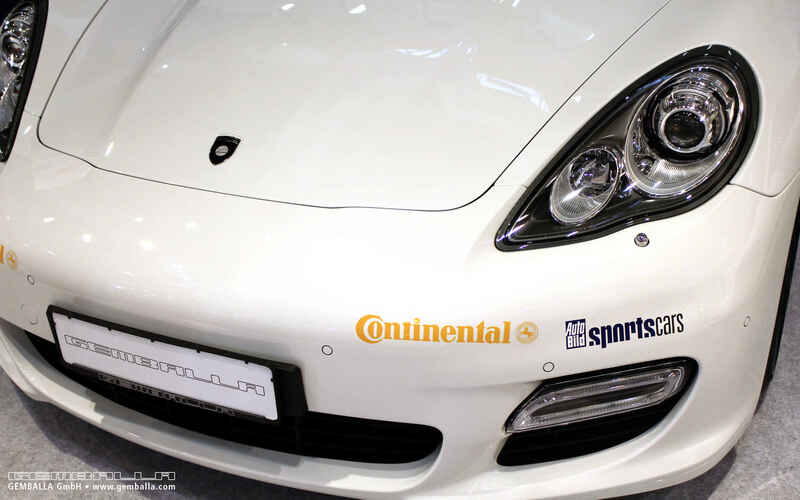 The magazine's booth showcased select participants from the Continental's High-Performance Event, held a few weeks prior at the Nardò racetrack in the south of Italy. 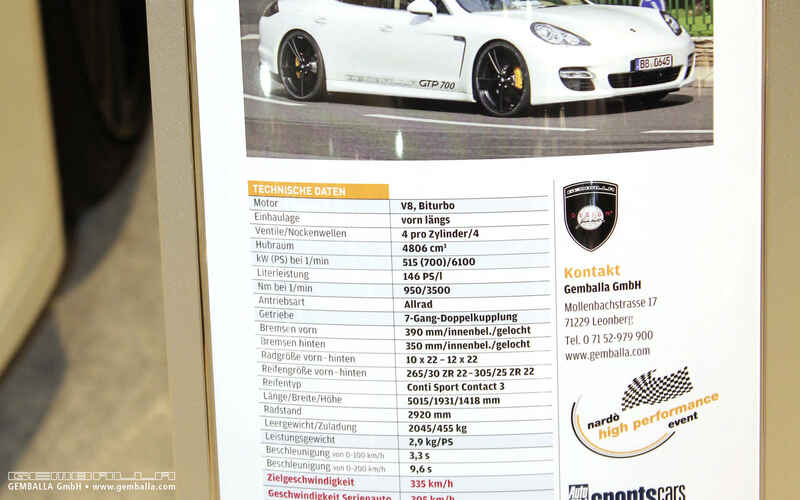 The GEMBALLA GTP 700 was one of the representatives selected to attend the tuning show. 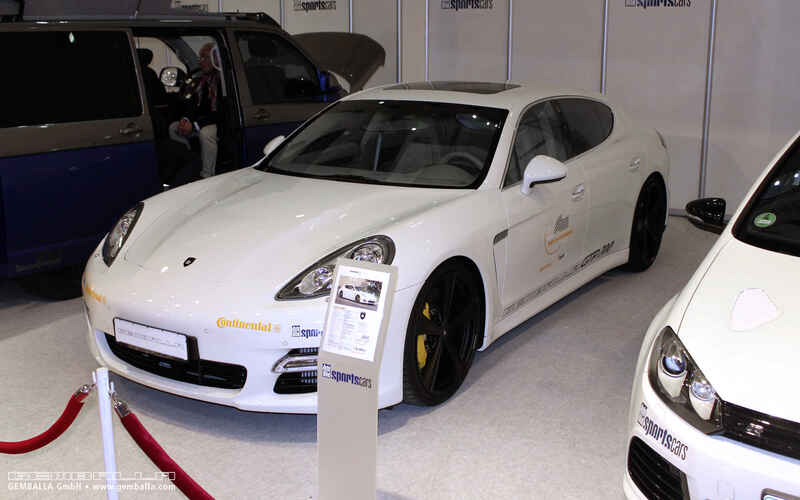 The model, based on the Porsche 970 Panamera Turbo, wowed spectators in Nardò with a maximum speed of 338.8 km/h, doing so at full weight, including 22" rims and an audio entertainment system. 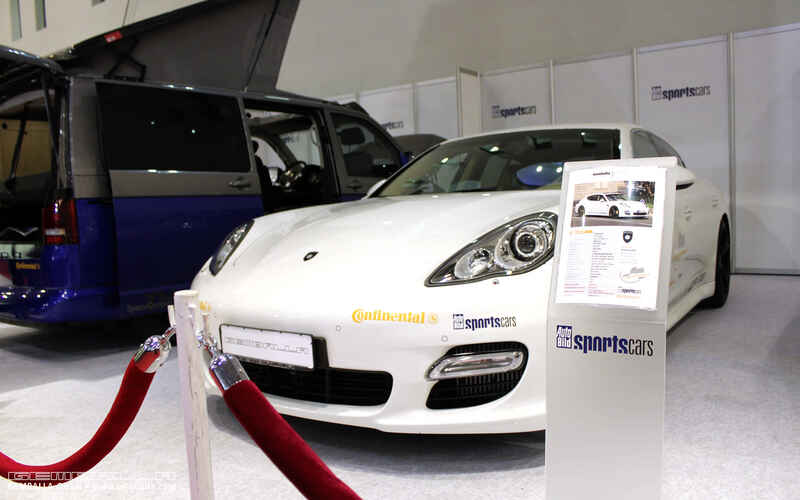 Visitors to the show had the chance to see the record-setting racer with their own eyes. Despite its rather discreet exterior, this model has more than 700 horsepower under the bonnet, accelerating the two-tonne saloon from 0 to 100 kph in just 3.3 seconds.